Spanners….works. – Dirty wet dog , boats and sailing. There ! back to two words and a few dots, posts are definitely going the right way again. I am now only 24 hours away from being on board with all of my kit and stores aboard as my plan at the moment is to be leaving Calstock boatyard at 0400-ish on the top of the tide and make passage downriver. My first destination isn’t quite clear yet , i might drop down the river, go out through the narrows and then sail around to the Kingsand/Cawsand anchorage and wait there for the tide to turn. Looking at the weather now the best thing to do then might be to make the short passage east past the mewstone and head into the Erme…we shall see. The spanner in the works doesn’t refer to the first passage because i am on leave all of next week so i have at least 10 days to play with and then get the boat to somewhere that i can leave her safely. The problem actually kicks in during April and May where i don’t have my planned time slots booked : the issue here being that i have to request my shifts so that i have one larger chunk of sailing time once a month. That shouldn’t be a problem except that our managers manager (bless the NHS) has closed the requesting system for some 3 months ahead : my fault in that i just hadn’t kept my eye on the ball with this one and its not the kind of thing that normally happens in the hospital. 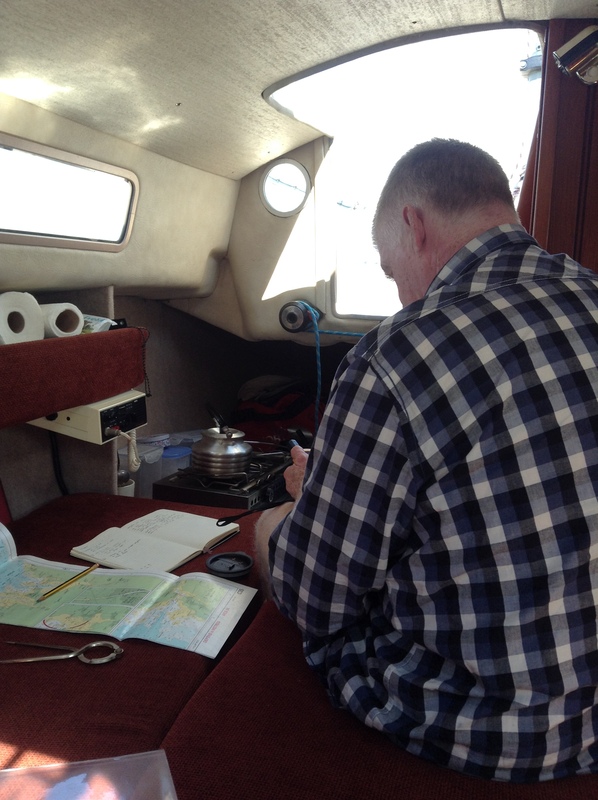 At the moment February and March look ok to give me some good sailing time, after that its a problem in that the boat will be further from home and will take more time and diesel just going to and fro….and of course more marina/mooring fees too. The ‘works’ aspect is that i am going to dip my toe in the video world as i went out and bought a basic video camera to start experimenting with, i don’t expect to be shooting and editing lots of video yet although there are some days when i can just have a play around with the camera. Previous On a cold grey day in February. Looks nice and cosy in there Steve — everything to hand. Looking forward to seeing any bits of video you can manage. Exciting times ahead for you and Wabi.